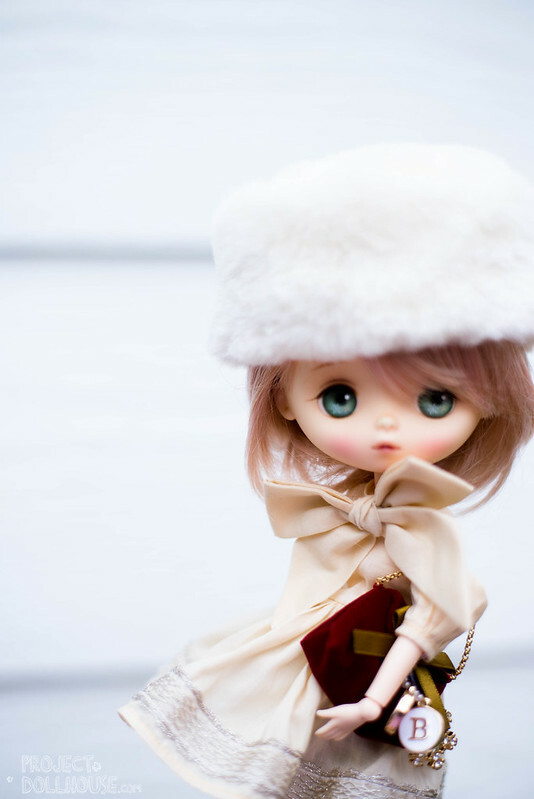 I didn’t mean the Game of Thrones Winter… but rather, this adorable little dolly called Berry, from the “Winter’s Coming” collection. I’ve written about JerryBerry dolls a few times before on this blog, mostly writing about how much I was wishing for one. It was really weird, one day I was all into winking Pullips and colour-changing eyeball Blythes, and the next I just could not get enough of these dolls on Flickr. I was on a Flickr-liking rampage. 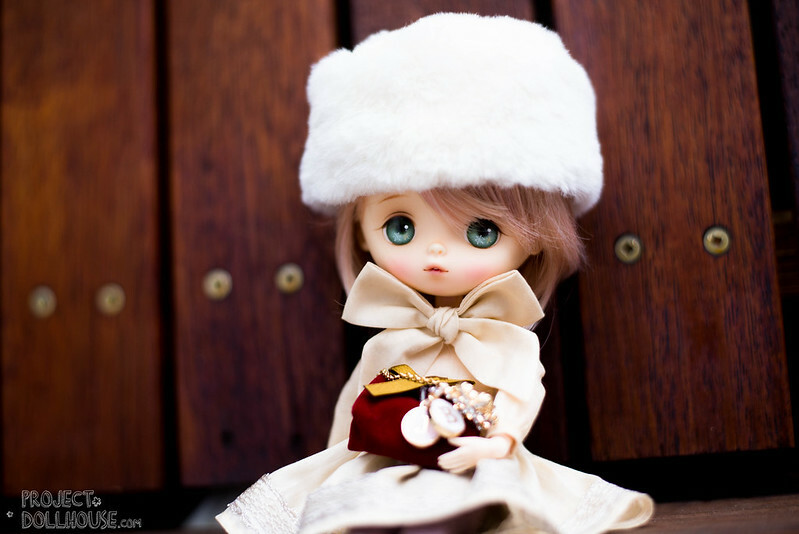 And then I decided to scrap my next Pullip/Blythe purchase and go for a JerryBerry girl. Then I had to discover the way of the JerryBerry. After perusing their site, I realised there were only the Basic models that you could order all the time, and others were in limited releases. I had my heart set on two of them, Winter’s Coming and Make A Wish. (One of my friends as a thank-you gift was browsing my blog for present ideas and bought me a Basic, which I got a shipping notification for yesterday – I’ll be making a break-down review of her when she arrives!). I put out a call on Dolly Adoption to see if anyone wanted to re-home any of those releases, and within minutes I had a response about a Winter’s Coming Berry – and in Australia too! Jerryberry’s sit on an obitsu body, with these child-like chubby-cheeked faces that feature hand-painted eyes, lips… well everything. All the expression is created through paint (and if you look on their website, apparently by some talented dude called Louis from Estebebe) with tiny tiny tiny little strokes that build up colour. Berry is one of the three girls in the range, and is the one with the always slightly open mouth. I actually loved her whole outfit. A furry little hat, a gorgeous red velvet handbag with little charms with “J” and “B” in gold and white enamel, a strawberry-blond wig, and the giant linen bowed dress. Because she is a special release, she has little snowflakes painted in her eyes. I was warned when I started posting about JerryBerry’s that I might get addicted. I mean, I already have quite an addictive personality. But I almost diverted all my dolly funds to hunt down these adorable girls after I opened this one. I’m not sure why, even though their eyes are static, I find them quite full of expression, with this angelic look. I will need to find a Penny and Jerry to complete my collection. It’s quite fun ordering from JerryBerry. Depending on the model, they take anything from 4 to 12 weeks to make (probably because there’s only the one dude painting all their faces, I am probably exaggerating). But you can pick if they are matte or satin… wigs… They have this most bizarre scalp mechanism that is stuck on with magnets so they are super easy to re-wig – in theory – I accidentally took off her wig but don’t know if I have any in the right size! Both kind of work! Lux and lush hehe. 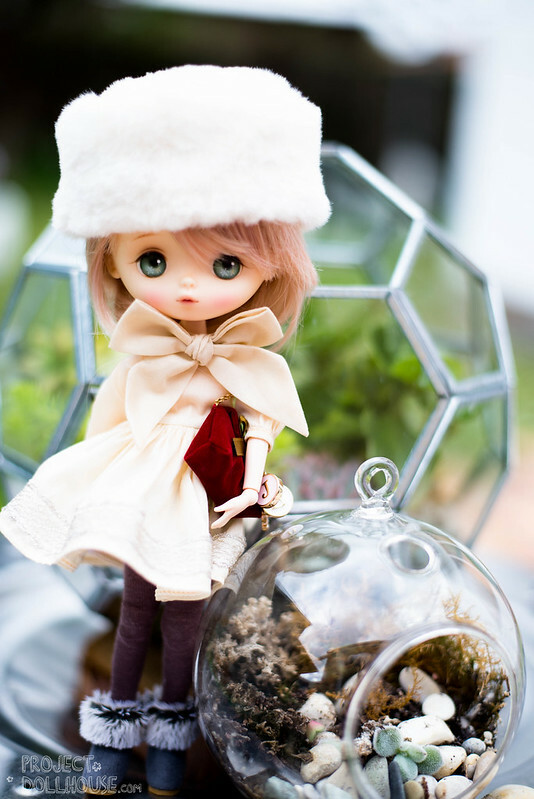 I’m finding the Azone bodies more Blythe-proportioned. The legs wiggle a bit and it’s sometimes hard to stand a girl up. On the other hand the obitsu joints work a lot better, but the body is super slender. I’m loving this obitsu I have on one of my pullips!